On April 27, a 16-year-old student at North Thurston High School in Lacy, Washington, allegedly pulled out a revolver and shot two rounds into the ceiling before being tackled by a teacher and then handcuffed by the school resource officer. 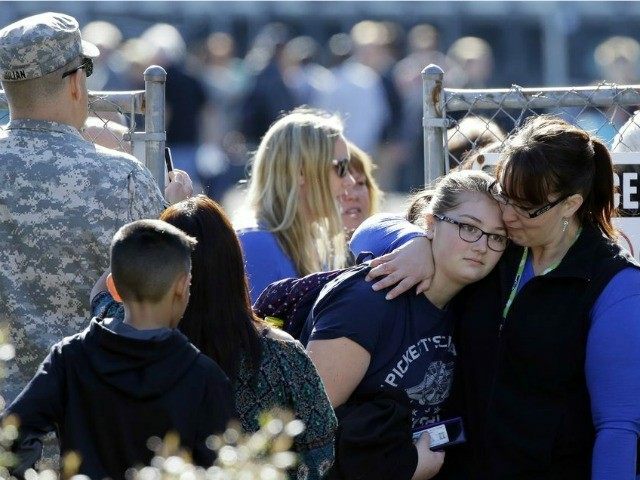 The school resource officer responded but could not take a shot at the gunman because of the students near him. The officer was repositioning to take a shot when Advanced Placement Government and Civics teacher Brady Olson tackled the gunman without incident. He held the gunman down until the officer handcuffed him. The gunman said he had no plans to hurt anyone. Proponents of I-594 have yet to comment on why their bill did not stop this act of gun violence.